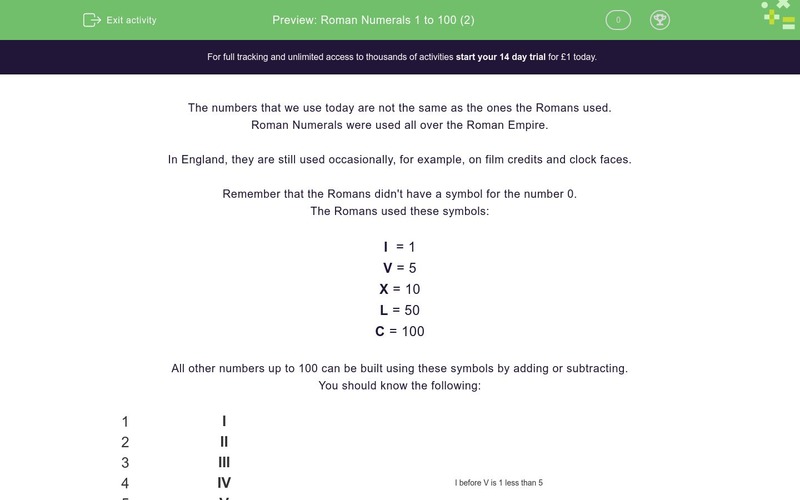 In this worksheet, students must convert normal numbers to Roman Numerals up to 100. Convert 89 and 97 to Roman Numerals. The Romans didn't have a symbol for zero.